Morning Constitutional: What Was Ryan Day's Biggest Recruiting Challenge? Morning Constitutional: What Was Ryan Day’s Biggest Recruiting Challenge? Today’s Topic: What Was Ryan Day’s Biggest Recruiting Challenge? 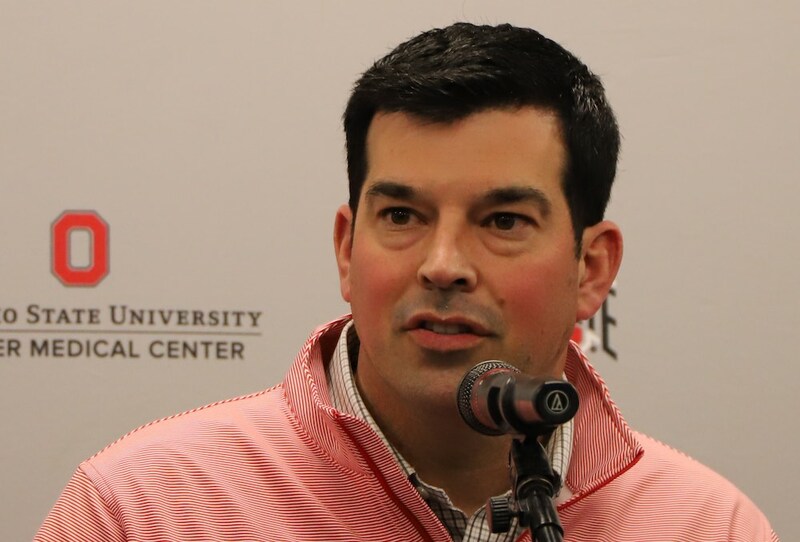 On December 4, Ryan Day was named Urban Meyer’s successor as the head football coach at Ohio State. That announcement began his quickly ticking clock towards the February signing day. Day had nine weeks to prepare for the Rose Bowl, put his staff together, ingratiate himself with the current players, get to know each of OSU’s commits as well as a head coach should, and still find the time to sign a handful of new commits. Day’s staff took shape shortly after the Rose Bowl, as was expected. With just one month between the bowl game and signing day, recruits had to know which position coaches they would be playing under. Day’s staff was finalized with a couple of weeks to spare, and when the nine weeks were all over and the letters of intent were signed, the Buckeyes had lost two 2020 commits — possibly temporarily, one 2019 commit, added five signees — including 5-star defensive end Zach Harrison, landed a transfer from former 5-star quarterback Justin Fields, and lost just two players to transfer. Nobody expected it to be perfect. It never is. But things could have ended up much, much worse. While Day was out looking for coaches and schmoozing recruits, the players back at Ohio State could have been wondering if OSU was still where they wanted to be. Recruits who had signed with Urban Meyer could have been asking themselves that same question. And forget about signing anybody new. That would have been asking too much. Ryan Day had challenges every day, and every day he was on the phone or on a plane or in a living room facing those challenges. What could have been an opportunity for mayhem was barely a blip on the crisis radar. Loyalty wasn’t just coming from recruits and their families, however. It was also prevalent throughout the program, and Day made sure throughout bowl prep to talk to all of the players, just as he had done back in the summer. Even though the head coach was changing, Day wanted to make sure his players — and recruits — knew that Ohio State was going to remain the same. It was an impressive year for Ryan Day that closed with a bang. The wheels could have come off at any point from July to closing of signing day 2019. Instead he was relentless in stepping up and delivering. At best, his 2017 season left more questions than answers on his ability. I seriously doubt my concerns following the whole Zach Smith stupidity were unfounded, nor were they lonely. Switch to today and I think there in just 1 question heading into the 2019 season. The retaining of Greg Studrawa. Greg is a good person, but his coaching results leave a lot to the imagination. I I know WHY Ryan hired Coach Mattison. He’s familiar with all of the other defensive staff members. His coaching longevity and track record are solid, but, I still think there’s a little bit of concern of whether or not he still has IT. I’d grade Ryan since July 2018 to present a 98%. Looking at the roster and the staff, he “could” deliver this Buckeye season to the CFB Playoffs. Biggest LOSS was Nester. 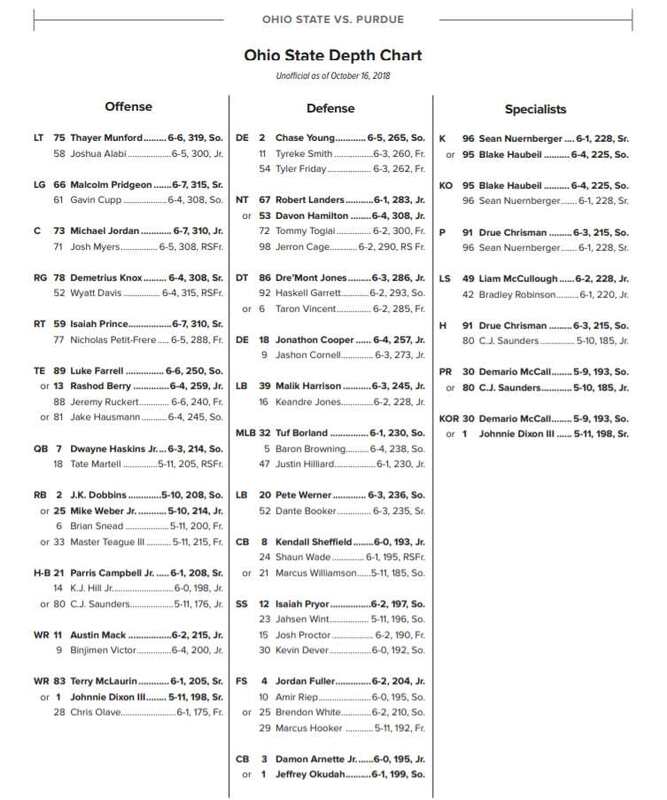 Not really sure there was a biggest gain because I’m betting that Harrison knew Day was going after the TTUN coaches before the rest of us did. So the biggest accomplishment by Coach Day was probably doing it “by the numbers” and keeping it together smoothly, which sometimes is a much bigger feat than it’s made to appear.